Hyundai Motor India has launched the Creta EX a few days ago. The EX variant is priced at INR 10.84 lakhs for the 1.6 litre petrol MT variant and INR 10.99 lakhs for the 1.4 litre diesel MT version. The Creta EX is positioned above the base E+ variant in the Creta`s line-up. 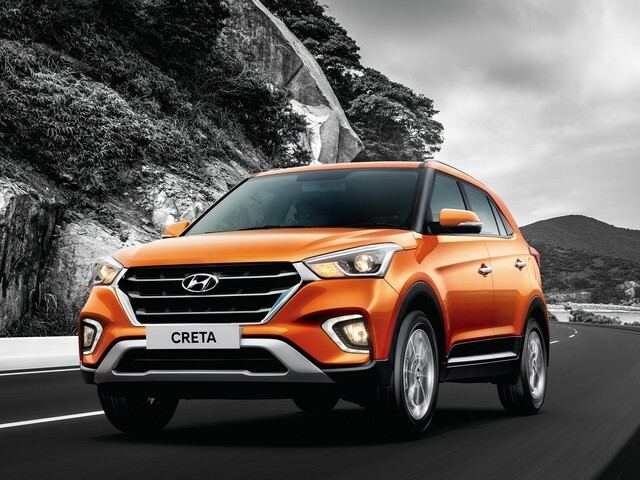 The Hyundai Creta EX 1.6 petrol variant is loaded with features like daytime running lights (DRLs), front fog lamps, rear parking camera, adjustable rear seat headrests and a rear armrest with cupholder. The Creta EX diesel gets all the features of the EX petrol and additional creature conforts like a 5.0 inch touch screen infotainment system, USB charging socket with a 12V power outlet at the front, steering mounted audio controls, and two tweeters. The base variant of the Creta which is the E+ 1.6 petrol trim, is priced at INR 9.99 lakhs. It gets all four power windows, steel wheels and a power steering. Hyundai has made changes to the Creta line-up by discontinuing the S 1.6 automatic trim. The diesel automatic variant is now available only in the top of the line SX trim. Hyundai is gearing up to launch its compact SUV, the Venue in the Indian car market. The Hyundai Venue will be positioned below the Creta in the car maker`s line-up. The Venue will be the Korean carmaker`s answer to the Maruti Vitara Brezza, Ford Ecosport, Tata Nexon and Mahindra TUV300 in the sub 4-metre SUV space.